Previously, DMX was sentenced to one year in jail after pleading guilty to $1.7 million in tax fraud. Now, a photo of a rapper during his sentence has surfaced. In the photo, X looks as if he put on some weight. He can be seen posing with another inmate as well. 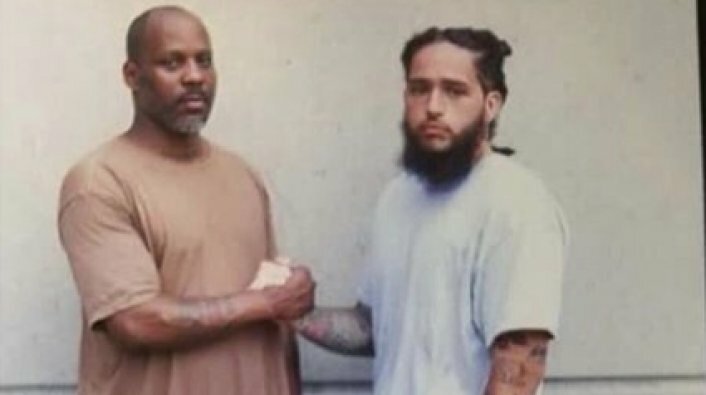 According to reports, this is one of the first photos that have popped up since the 47-year-old rapper was incarcerated.